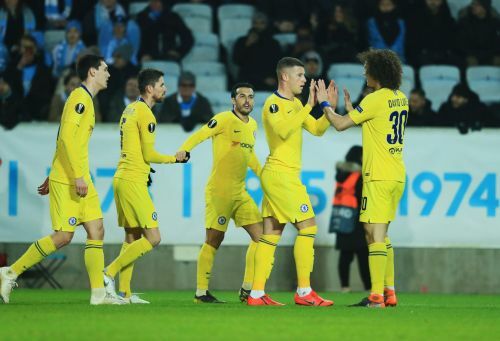 Chelsea pipped Malmo FF in the first leg of the round of 32 of the Europa League to claim a much-needed boost ahead of their second leg, and also the FA Cup fifth round clash against Manchester United. By a 2-1 margin, Chelsea banished the memory of their defeat at the Etihad stadium to a notable extent, an although there still persists a host of issues surrounding the manager's stubborn tactics, use of players and defensive frailties, the Blues continued to march on. Goals in either half from Ross Barkley and Olivier Giroud helped the cause, while for the home side, Anders Christiansen netted an unlikely goal in the 80th minute, against the run of play. As you'd expect, Chelsea controlled most of the game and had the better share of chances. On that note, let's look at the major talking points from Chelsea's victory over Malmo. 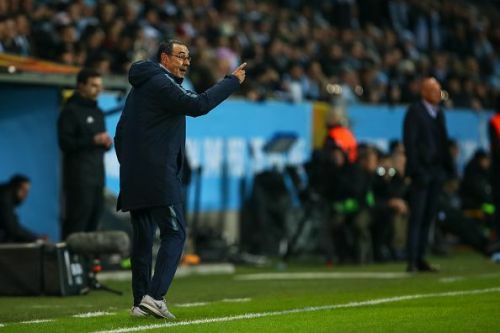 Sarri announced an interesting line-up for the game, as the likes of N'Golo Kante, Eden Hazard and Gonzalo Higuain were rested, despite the fixture being on an away ground, in a knockout situation. Kepa Arrizabalaga formed the last line of defence once again, while David Luiz and Cesar Azpilicueta retained their place in the line-up. Emerson came in for Marcos Alonso, who didn't even travel with the squad to Sweden, whereas Antonio Rudiger paved way for young Andreas Christensen. Jorginho, much to the fans' growing frustration, started at the base of midfield yet again. Ross Barkley and Mateo Kovacic manned either side of the Italian. Olivier Giroud enjoyed a rare start, while both Willian and Pedro started, with the latter playing down the right. Now, what was quite astonishing was that Sarri was expected to rest Jorginho ahead of the FA Cup tie against Manchester United. For the same reason, we expected Callum Hudson-Odoi to play instead of Pedro down the right. Now that Pedro has played two matches in a row, he might be used as a substitute against the Red Devils.